Some years ago a young man from the Netherlands came to my office in the University of Poona in order to seek admission as student in the Department of Sanskrit in the University. Actually he did not possess the requisite qualifications as laid down by the University for such admission. He had done a Kandidaat’s course in Mathematics, Physics, and Astronomy in his country and had later obtained a Diploma in Sanskrit from Jaipur. But I was impressed by his knowledge of Sanskrit, which was mostly self-acquired, and more particularly by his genuine keenness on prosecuting higher studies in Sanskrit. So I recommended him for admission to the University Department of Sanskrit. I was glad that, in course of time, the young man more than vindicated my judgement. For, Johannes Bronkhorst — yes, that young man was Johaunes Bronkhorst I — passed with credit the M. A. examination of the University of Poona, in 1976, with Sanskrit as his principal subject. He then continued his study and research In the University and was awarded in 1979 the Ph. D. degree for his thesis on Antaranga - paribh. A year later he bagged another doctorate from the Leaden University on the strength of his thesis entitled Theoretical Aspects of Paling’s Grammar. Ever since then, Dr. Bronkhorst has been commendably active in the field of Indological research and has contributed many original papers on Pãninian grammar, Indian philosophy, Buddhism and Jainism, etc. 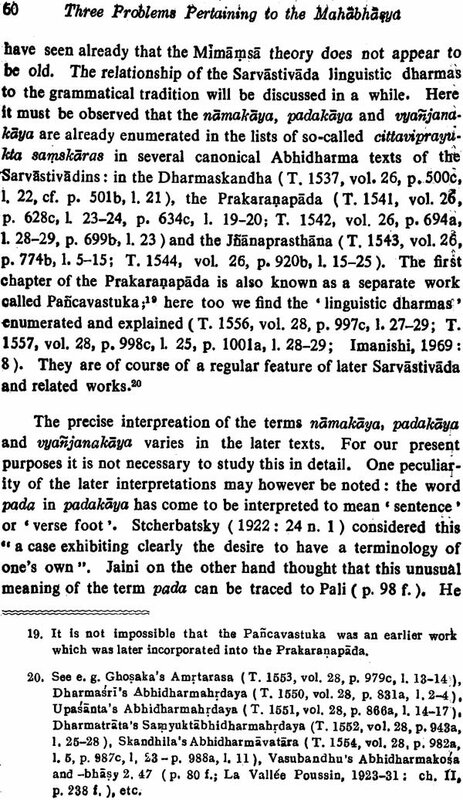 In them he has ably dealt with such topics as the Padaptha of the ?gveda, k-Pratiakhya, the role of meanings in P.iini’s grammar, Asiddha in the A1adhyayz, Vedic quotations in Bhartybari’s works, and the variationist Pänini and Vedic. 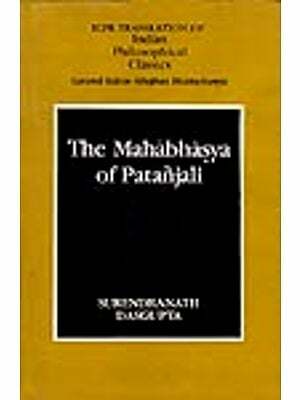 I may also mention his book, The Two Traditions of Meditation in Ancient India. Further Dr. Bronkhorst has participaled in the Bhandarkar Oriental Research Institute’s project of the Critical Edition of Bhartthari’s Mahabhayr — by editing Fascicule IV: Ahuika 1. Dr. Bronkhorst delivered these Pandit Shripad Shastri Deodhar Memorial Lectures at the Institute on March 4 — 6, 1987. A more than formal word of thanks is due to him for this. For, he honoured his commitment even while he had been in the very midst of the preparations for the VlIth World Sanskrit Conference of which he was Secretary. I am, indeed, glad that I am in a position to conclude this Foreword with warm felicitations and kind wishes to Dr. Bronk. horst on his recent well deservcd appointment as Professor in the Faculté des Lettres of the Université de Lausanne, Switzerland. It gives me great pleasure to express my gratitude to Pro. fessor R N. Dandekar for inviting me to deliver the ‘Pandit Shripad Shastri Deodhar Memorial Lectures’, Third Series, in March 1987. Professors A. M. Ghatage, S. D. Joshi, and 0. B. Palsule did me the honour of presiding over the sessions, and I would like to thank them for doing so. I wish to thank the Netherlands Organization for the Advancement of Pure Research (Z. W. 0), which enabled me to travel to Poona for these lectures.